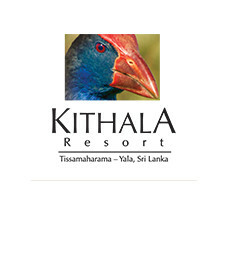 Kithala Resort is an ideally located hotel in Tissamaharama affording guests an assortment of authentically Sri Lankan experiences ranging from spiritual and adventurous pursuits. The hotel is situated in the ancient city of Tissamaharama where you find sites such as the Tissamaharama Temple and is also minutes away from the religious city of Kataragama which attracts thousands of faithful annually to obtain the blessing from deities of the Kataragama Kovil. 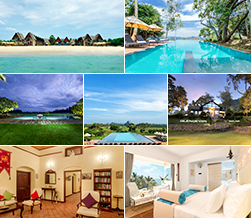 The hotel’s location also makes convenient, visits to other popular religious and historical sites such as the Kirinda Temple, Sithulpawwa and the Debarwewa village. Nature and wildlife enthusiasts are spoilt for choice with various options such as exciting safaris to the Yala and Udawalawa Parks, famous for its elephants, bird watching tours at the Bundala Bird Sanctuary or the Kumana Estuary Bird sanctuary. They may also catch a glimpse of the Kalamatiyawa wetland birds or catch fish at the Kirinda beach.